For our transport Minister Gerry Brownlee, transport is all about cars. 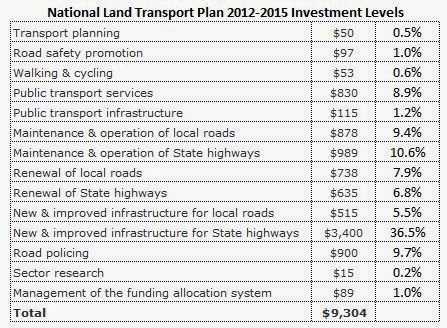 Transport spending is hugely dominated by road building, with the vast bulk of spending going to motorways of dubious value. Brownlee insists that getting more cars moving more quickly is the most immediate transport need. He determinedly ignores the evidence and refuses to listen to reason. 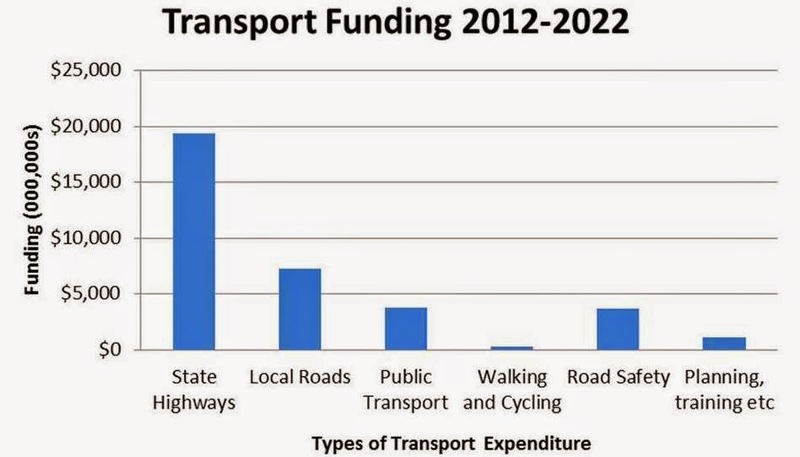 The planned investment on cycling and walking is only .6% of the transport budget. 10923 (2013). Julie Anne Genter to the Minister of Transport (21 Aug 2013): How many full-time equivalent employees of the New Zealand Transport Agency currently work on planning and delivering cyclist networks. Eugenie Sage has celebrated a recent Christchurch planning decision to shorten the timeframe for their major cycleways project from 8 years to 5 years, even though it is still longer than the 3 years that was initially decided. Eugenie provides a very useful link to a TED talk from the New York City Transport Commissioner on how they have improved traffic flow and the quality of life for city residents and visitors. Creating safe cycle lanes was one of the most important elements and they did it at very low cost by using paint and plants (about 9 min in). A good amount of the car traffic on our roads is because people lack choices and if the infrastructure mainly supports cars then that will be what most people will use. One of the peak traffic times in most towns and cities is before and after school and this is largely because parents feel it is unsafe for children to walk or cycle safely by themselves. Many people would prefer to cycle around our city centres but in most cases it is unsafe to do so. 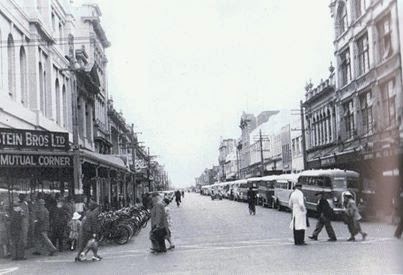 Invercargill should be full of cyclists because it is flat and our climate is more temperate that most European cities. Cycling as transport and as a sport has a significant history in Invercargill, we host the oldest and most important international cycling road race in the country (Tour of Southland) and established the country's first indoor cycling velodrome. In the 1950s more bikes were used to get to work in the city than cars and yet now few people use cycling as means of transport. The Green Party's recent policy announcement on making walking and biking to school safer will cost only $50 million a year over four years and will actually see a return on that investment of around $1 billion. 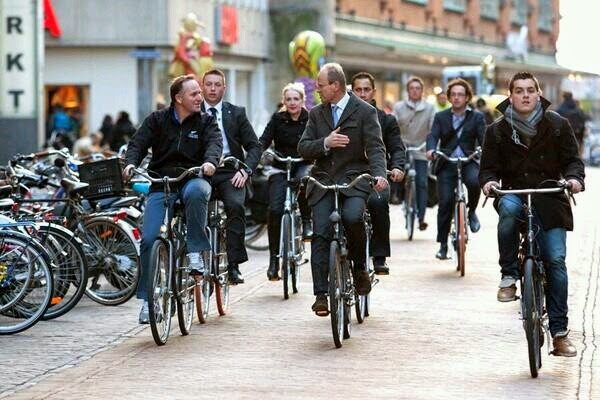 It would make so much sense in Invercargill where our wide streets provide lots of scope for safe cycling lanes. The policy will be a positive shift away from the stubborn ideological mind set of the current Transport Minister and provide a literal breath of fresh air to our transport infrastructure.